Arroword puzzles have the clues in the black squares for convenience and fun. The Cluewords magazine features large arroword puzzles plus the giant Maxi crossword. Handy Arrowords features a generous serve of snack-sized crosswords in an on-the-go-sized magazine. Most arrowords contain clues to everyday words but we’ve also included a selection of trivia, themed and celebrity crosswords for your enjoyment. 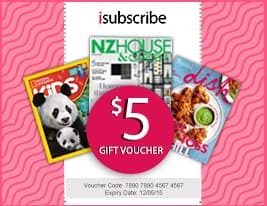 Subscribe today to enjoy FREE HOME DELIVERY and a chance to win cash and prizes! 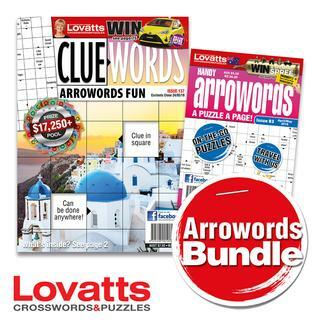 Be the first person to tell us what you think about Lovatts Arrowords Bundle and you'll save $5 on your next purchase! For monthly titles please allow up to 8-11 weeks for your first delivery. Your subscription will begin with the next available issue.